Get ready to take your cookie baking skills to the next level. 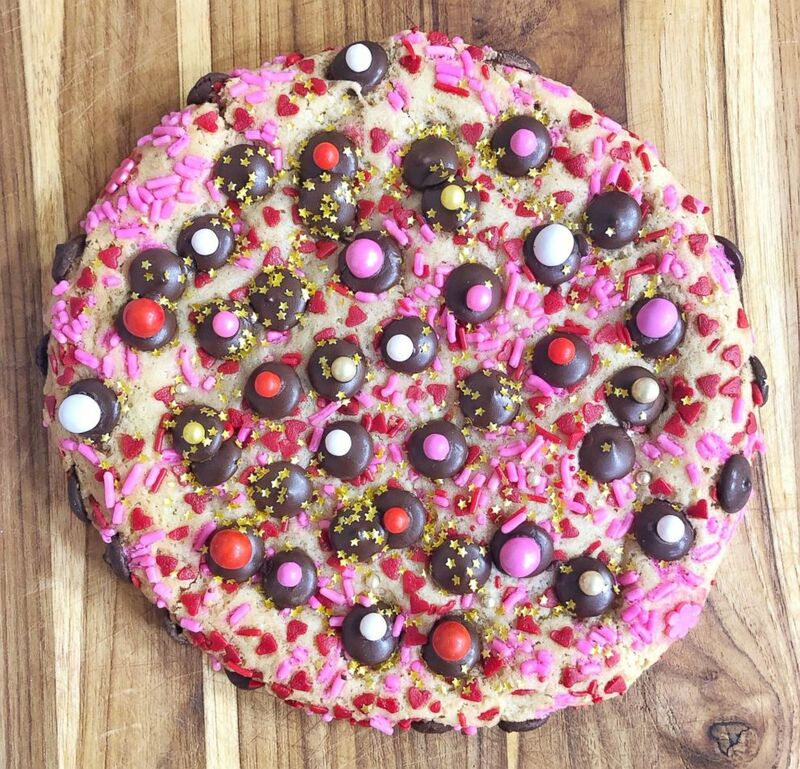 Wendy Kou is the genius behind supersized cookies stuffed with everything from peanut butter to Nutella, sprinkles, chocolate chips and more -- and sometimes all at once! Kou shares her outrageously good concoctions on Instagram and in her new cookbook, "Colossal Creations." 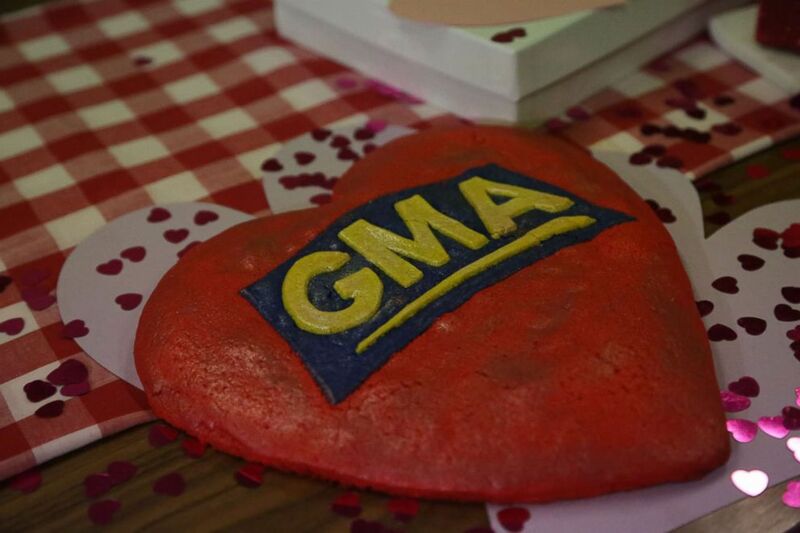 She created two cookies just for "GMA" viewers. Get the recipes below. 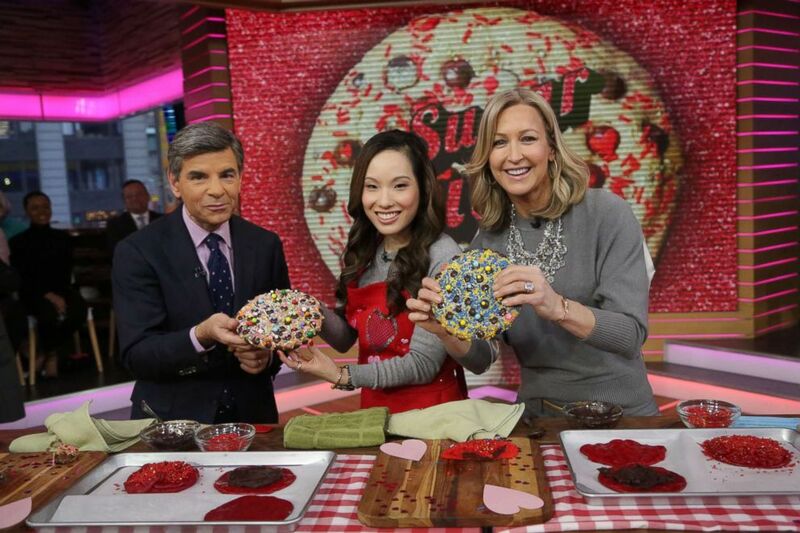 (ABC) "Colossal Creations" author Wendy Kou shares her recipes on "Good Morning America." Allow the cookie dough to come to room temperature, so it is easier to work with. To assemble the cookie dough, line a jelly roll pan with parchment paper and use this as your work area for the assembly. Split the chocolate chip cookie dough into four equal parts and roll each part into a ball. Then, use the palms of your hands to flatten each one into a circle 5½ inches (14 cm) in diameter. Leaving a 1-inch (2.5 cm) border of cookie dough, spread 1 tablespoon (15 ml) of Nutella spread onto the top quarter of one circle, creating a horizontal stripe. Spread 1 tablespoon (15 ml) of peanut butter to make a stripe below the Nutella. Repeat to form two more stripes. Spread stripes on the second dough circle. Gently cover the stripes with another cookie circle. Do not to press in the center area of the cookie because you’ll have peanut butter and chocolate-hazelnut spread oozing out from the sides. Use your fingers to pinch together the top and bottom edges of the cookie dough and then smooth out the sides for a seamless finish. 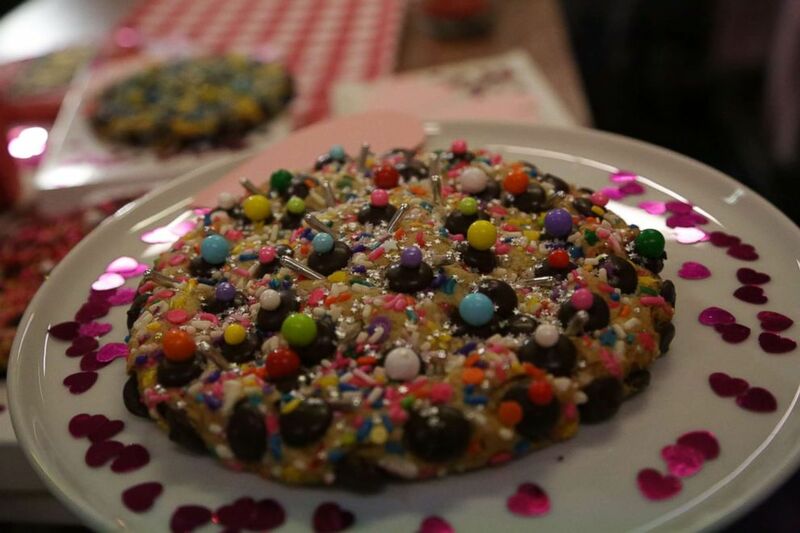 For finishing touches, use 3 tablespoons of sprinkles and 1/3 cup of chocolate chips to cover all over each cookie. Place the tray with the cookies in the freezer for the dough to rest for at least 20 to 30 minutes. Preheat the oven to 350 degrees F (177 degrees C). Bake one cookie at a time for 30 to 35 minutes, or until the edges are golden-brown and the center of the cookie dough has a light crisp layer on it. Allow the cookie to cool down on the baking tray for about 20 minutes prior to moving it to the cooling rack. 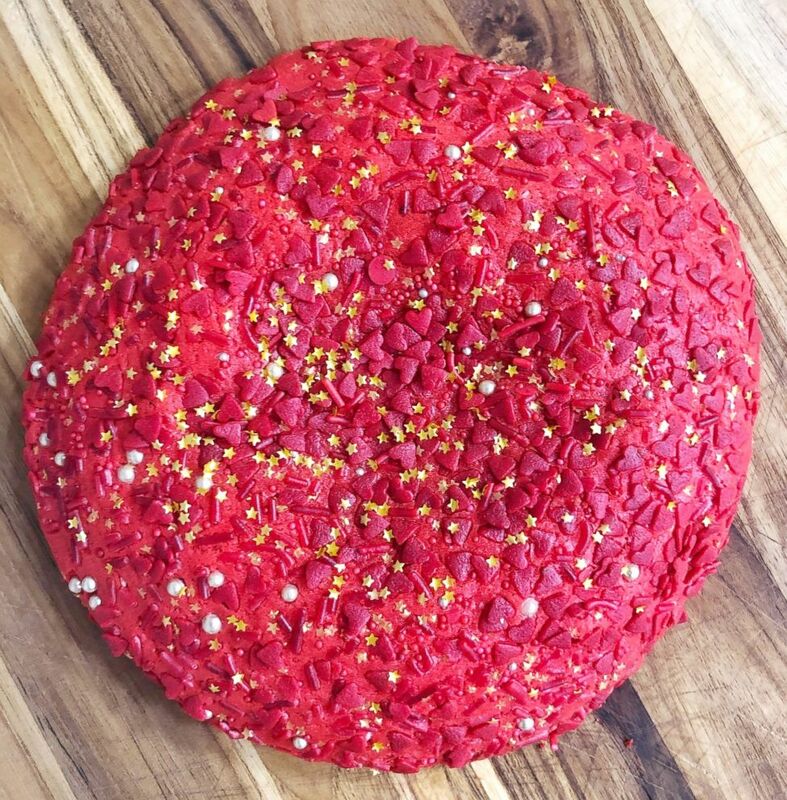 Use a mixer and combine the cookie dough with red food coloring by slowly adding the coloring until desired color is reached. Split the sugar cookie dough into four equal parts and roll each dough into a ball. Then, use the palms of your hands to flatten each one into a circle 5½ inches (14 cm) in diameter. Leaving a 1-inch (2.5 cm) border of cookie dough, spread 3 tablespoons (45 ml) of chocolate ganache in the center of each cookie. Gently cover the ganache with another cookie circle. For finishing touches, use 1/4 cup of sprinkles to cover all over each cookie. Bake one cookie at a time for 30 to 35 minutes, or until the edges are golden- brown and center of the cookie dough has a light crisp layer on it. Recipes reprinted with permission, courtesy Wendy Kou.